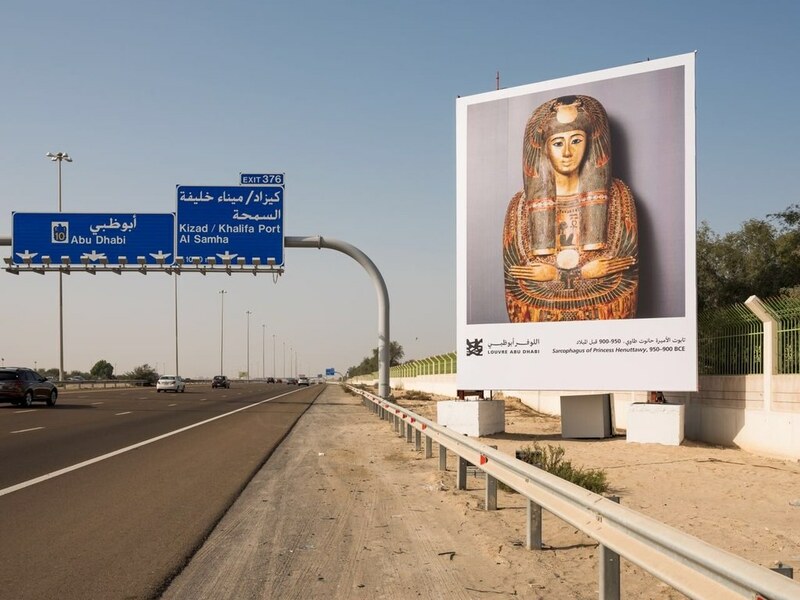 The Louvre Abu Dhabi has unveiled a roadside gallery comprising billboards featuring artworks from the museum’s collection that have been installed along the highway from Dubai to Abu Dhabi – reports Art Forum. When drivers pass the artwork it triggers a geo-targeted audio commentary, which is delivered by three partner radio stations. Drivers will hear a thirty-second narrative from curators about each piece as they approach the billboards which are spaced at six-mile intervals. Among the works on display are Leonardo da Vinci’s Portrait of a Woman, La Belle Ferronnière (on loan from the Louvre); Vincent van Gogh’s Self Portrait, 1887 (on loan from the Musée d’Orsay); and Piet Mondrian’s iconic Composition with Blue, Red, Yellow and Black. 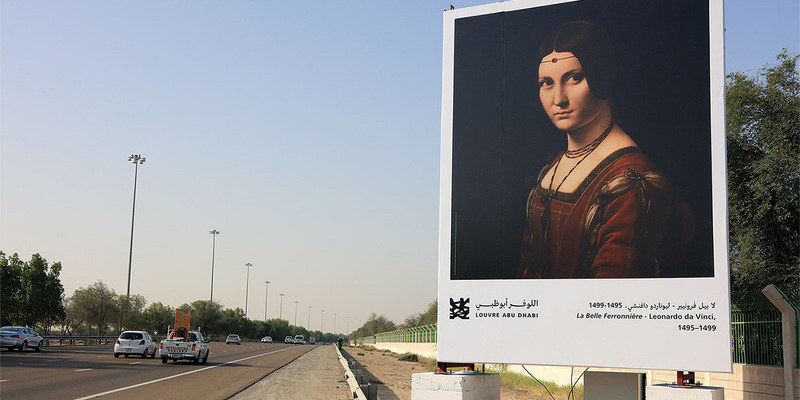 The 8 x 6 meter billboards mark UAE Innovation Month.